Innovations from one market or application can be the key to a competitive product in another. Our Pico‐Coax miniature coaxial cable developed for 3Dultrasound can also be used for military headsets or sensors in chemical plants. Our products can be used in any market or application where it brings benefits. 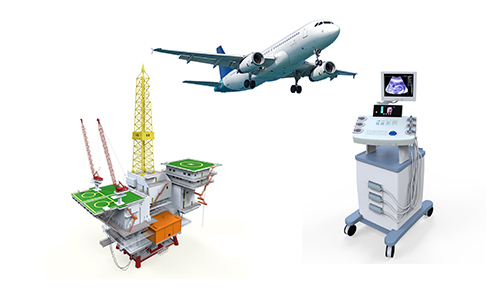 We also support specific needs such as ISO13485 certification for medical devices, V‐by‐One LVDS for HD displays or AQAP PPAP process for customized large volume automotive components. Benefit from our range of products and expertise to develop and deliver the most suitable solution for your application and market.